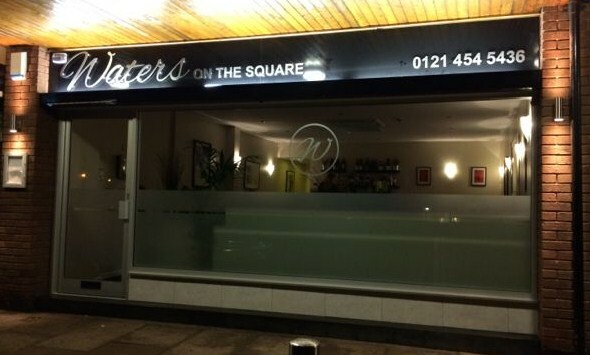 Sandwiched between a newsagent and a hairdressers, Waters on the Square, has opened on Chad Square in Harborne opposite The White Swan. 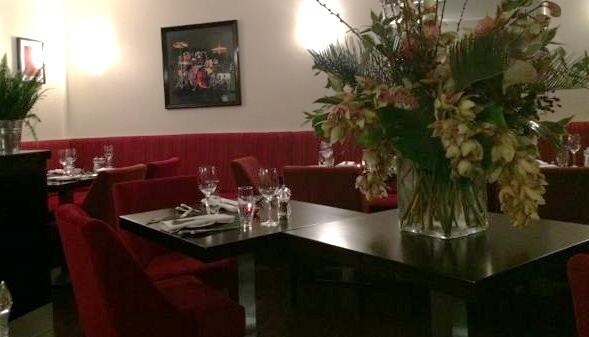 One of Birmingham’s prodigal sons, Andy Waters, has returned to the city to open this new neighbourhood restaurant after departing Edmunds in Brindley Place to take up proprietorship of The Queens in Belbroughton in March 2012. Those of you in the West of the county will know that village to have been home to several gourmet delights over recent years. He and his team will continue to run The Queens as well as this new venture. Chad Square has a special place in Andy’s heart as he opened his first restaurant there, The Bay Tree, over ten years ago. The thirty cover restaurant has been gutted since its previous incarnation as Pinocchio Italian, and is now warmly decorated with red sumptuous accents. Othe r than the ceilings being a little low (which makes a noisy table seem noisier) it feels like a fine dining restaurant. I liked the comfortable seating, and the stylised cutlery and glassware and overall I think the look is a winner and would be a great spot for a romantic meal, a business dinner, or a catch up with friends (incidentally all of those things were happening when we were in there on a Wednesday night – it already seems popular). To start I had the chicken and Cognac parfait with apricot and almond chutney. The parfait was pleasantly strong and set off nicely by the delicately flavoured and not too sweet apricot chutney. It was decorated with pea shoots which I love. We also had the carpaccio of beef, which was deeply purple and inviting, and was served with artichokes, sun blushed tomatoes, black olives, quail’s egg, and twenty month aged parmesan – all very tasty and a pretty dish. 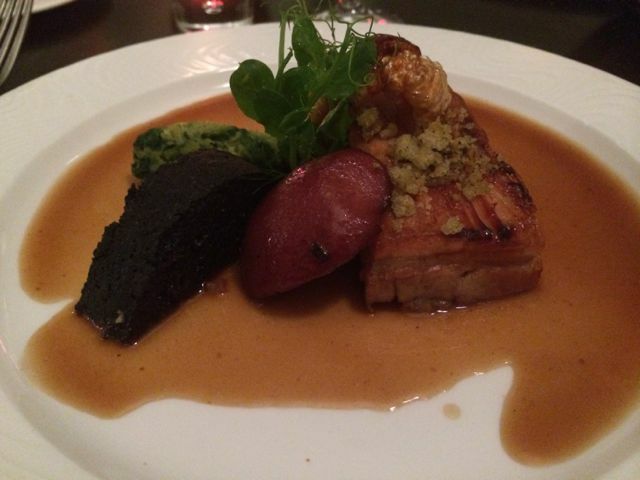 For my main I had the belly of Wiltshire pork with black pudding, sage & onion crumble, and apples steeped in red wine. It also came with some perfect crackling. It was a good meaty bit of pork belly, not all fat as it sometimes can be. The sage & onion crumble took me back to making stuffing with my nan, a sparing but pungent sage hit working well with the meat. I didn’t dislike the red wine steeped apple but it didn’t have the acidic kick I was expecting to work against the sweetness of the belly. It was an attractive dish on the plate, as was all the food we had there. 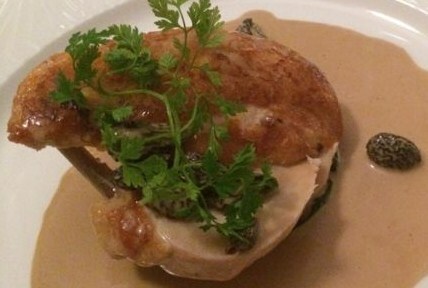 Our other main was a corn-fed breast of chicken with leeks and creamed morel mushroom sauce. Again, an attractively presented dish. The chicken had a crisp skin and was superbly seasoned bringing heady chicken flavours out of the meat to accompany the strong morel mushroom sauce. The mains came with sides of potatoes and green beans and carrots doused in garlic butter. Despite the elegance of the food at this restaurant, you needn’t worry that you will leave hungry – the portions are hearty and the winter menu is rich and filling. For dessert we tried the chocolate and toffee tart with a vanilla crumble (yum yum), and I had the cheese plate which had a delicious chutney. Not only will you not worry about leaving hungry, you will also not worry about leaving stony broke. Two courses is £21 and three courses is £27 with wine coming in around £20 for the cheapest bottle. In my opinion this is great value for food of this quality. Good luck to Andy, Beverley, and the rest of the team, but if you keep churning out great stuff like this you won’t need it! 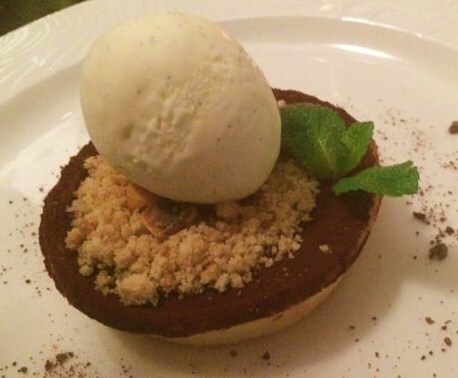 This entry was posted in Area: Harborne, Cuisine: English, Cuisine: Fine Dining, Price: Average, Price: Get your dad to pay - above average, Venue type: Restaurant and tagged Birmingham Restaurant, birmingham restaurant review, birmingham review, Out In Birmingham, out in brum, OutInBrum, restaurant review, Where To Go In Birmingham. Bookmark the permalink. Looks superb. I have always enjoyed my visits to Edmunds when Andy was in charge. The veggie options were always excellent and the service superb. I haven’t yet visited Waters on the Square, but intend to in the future to sample the vegetarian options. Seems good value and a nice place to go. Thanks.